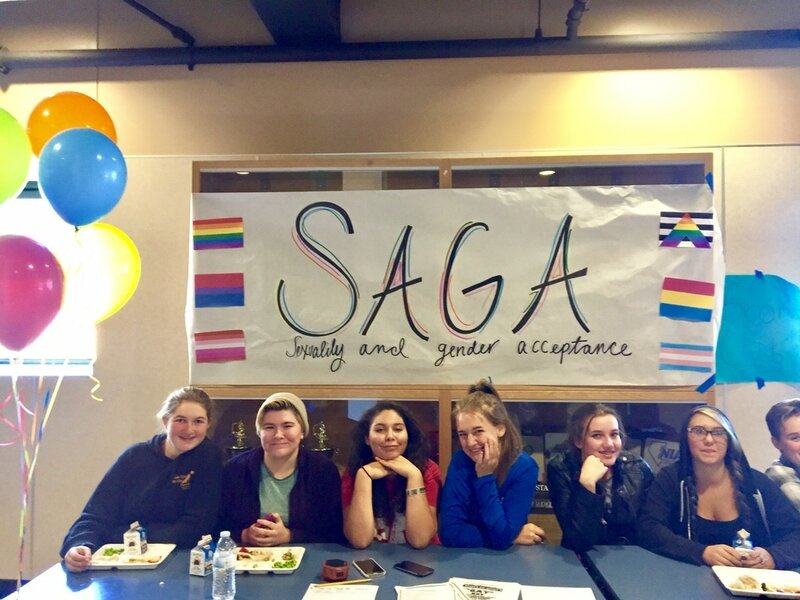 SAGA stands for Sexuality and Gender Acceptance club. It is modeled after the national Gay Straight Alliance. The mission of the club is to provide a safe space for students to meet, support each other, talk about issues related to sexual orientation and gender identity, and work to end homophobia and transphobia at North Tahoe High School. It is open to gay and straight students. The club is student led and was created by a student. The club meets Thursdays at lunch.